If you’re anything like us, you’re awaiting the first-ever direct-observation photographs of Sagittarius A*, the supermassive black hole at the center of The Milky Way, with bated breath. But, you might want to go ahead and exhale, because it could be awhile. In the meantime, we suggest enjoying a virtual tour created by an advanced physics simulator. The simulator, developed by a team of scientists from the Netherlands and Germany, relies upon the most up-to-date data astrophysicists have gleaned on Sagittarius A*. It’s purpose is to produce a visually and astro-physically accurate portrayal of the black hole at the center of our galaxy. The above 360 VR experience can be enjoyed on a regular screen, but it’s absolutely mesmerizing in 3D-space with a headset. Our virtual reality simulation creates one of the most realistic views of the direct surroundings of the black hole and will help us to learn more about how black holes behave. 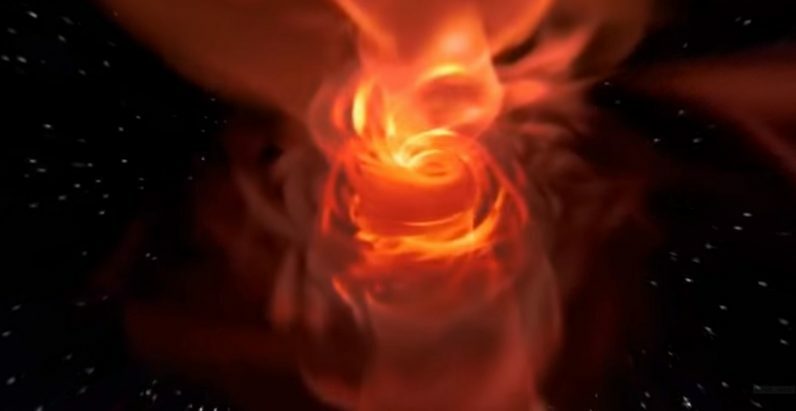 Traveling to a black hole in our lifetime is impossible, so immersive visualizations like this can help us understand more about these systems from where we are. And, until the images gathered by the recent Event Horizon Telescope project – which you should totally read about – are actually developed, this is the closest we’ll come to seeing the majestic supermassive black hole at the center of The Milky Way for ourselves.